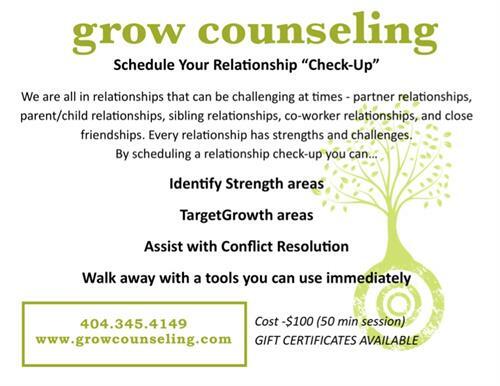 GROW Counseling exists to help individuals and organizations reach their full potential. We, at GROW, believe that in a perfect world, our close relationships would provide us the direction that we need to make important decisions, and to see personal growth and development. However, we live in an imperfect world. Most of us have probably felt relief after talking with a friend or family member about something that has been troubling us. Counseling works in a similar way – as we talk with someone who has an objective point of view, our perspective on the problem often begins to change. We become more resilient and develop better coping resources. A sense of strength emerges or returns. In circumstances that have previously felt empty and hopeless, we begin to find meaning and joy.